In the late night hours of April 24, 1996, Rachel Carlson and her three-month-old daughter, Alexis Stuart were found stabbed to death in Carlson’s running vehicle in Crestview, Florida. Carlson was strangled and stabbed sixty-six times, while Stuart was stabbed four times. Carlson believed Walker Davis, Jr. was the father of her child, and she called the Florida Department of Revenue and requested that a case be opened against Davis for child support. A DNA test conducted subsequent to the murder revealed that Davis was not the father. Carlson demanded monetary child support from Davis, who already was married and had two children at the time of the Carlson murder. In the week prior to the murder, Lamar Brooks, Davis’ cousin, traveled to Florida and stayed with Davis during his visit. Mark Gilliam, a friend of Brooks’, later testified to a conversation between Davis, Brooks, and himself, wherein all three discussed various ways they would kill Carlson because of pressure she exerted on Davis for child support. A plan developed whereby Davis would pay Brooks $10,000 to kill Carlson, and Gilliam would be paid $500 to drive them to Crestview to commit the murder. On two occasions, the plan was attempted, yet failed due to various unforeseen circumstances. Gilliam did not participate in the murder plans after the second failed attempt. A bloodstain pattern expert testified at trial that a back-seat passenger stabbed Carlson and no one was in the passenger seat during the murder. Forensic evidence showed that a footprint was found on Carlson’s shoulder, which would be consistent with someone climbing over the body to exit the vehicle. Additional forensic evidence demonstrated that Davis, whose leg was in a cast at the time of the murder, would have been physically unable to climb over the front seat to exit the vehicle. At trial, Terrance Goodman, who was a cellmate of Brooks after his arrest, testified that Brooks told him that he “offed this broad” and “while anybody could pull a trigger, it takes more heart to stab someone because you can feel the hitting of the bone and the tearing of the tissue.” Brooks also told Goodman that he was in the back seat of the car during the murder. According to testimony, Davis bought a $100,000 life insurance policy on Stuart in February 1996, naming himself as sole beneficiary. The State argued that Davis planned to pay Brooks and Gilliam with the proceeds from the insurance policy. Brooks was resentenced to death in Okaloosa County on February 25, 2002. Walker Davis, Jr. was indicted for the same crimes as Brooks, yet was tried separately. He was also convicted, and on June 30, 1997, he was sentenced to two terms of life imprisonment. Brooks’ original conviction and sentence were overturned. Brooks filed a Direct Appeal with the Florida Supreme Court on 11/13/98, citing the following errors: permitting improper hearsay evidence; violating rights to confront witnesses and due process by permitting non-testifying codefendants statements; denying motions for new trial; permitting the testimony of certain witnesses; denying a motion for mistrial after impermissible comments on a right to remain silent; determining juror qualifications; permitting the admission of photographs taken during a second autopsy; denying a motion to strike venire/change venue; permitting the admission of statements to law enforcement by codefendant under the hearsay rule; denying a motion for judgment of acquittal; and erroneously instructing, finding and doubling aggravating factors. On 04/05/01, the Florida Supreme Court reversed the convictions and vacated the death sentences. Brooks filed a Direct Appeal with the Florida Supreme Court on 03/06/02, citing the following errors: admitting the testimony of a life insurance salesman; allowing irrelevant testimony; admitting notes the police seized from the codefendant; allowing the state to impeach the testimony of a witness; allowing testimony from a witness; denying several defense objections to the closing argument of the state; refusing to give a conspiracy instruction; denying motions for mistrial; denying a motion to change the venue of the trial; finding that a death sentence is warranted in the case; finding that the murder occurred during the course of an aggravated child abuse and then using that fact to justify imposing a death sentence; refusing to require the jury to indicate if they found a verdict of guilty for felony murder, which aggravating factors they found and by what vote; finding the pecuniary gain and cold, calculated and premeditated aggravating factors; and giving the jury’s death recommendation great weight because of extensive mitigation. On 06/23/05, the Florida Supreme Court affirmed the convictions and sentences. Brooks filed a Petition for Writ of Certiorari with the U.S. Supreme Court on 03/10/06 that was denied on 05/22/06. On 05/18/07, Brooks filed a Motion to Vacate in the State Circuit Court, which was amended on 10/09/07. This motion was supplemented on 11/29/10. On 01/21/11, Brooks’ supplement was stricken. Brooks filed a successive 3.851 motion on 03/11/11. That motion is pending. For more than 15 years, Walker Davis Jr. and Lamar Z. Brooks have sat behind bars in separate Florida Department of Corrections prisons, convicted of brutally murdering a woman and her infant daughter in 1996. During that span, the family of Davis and Brooks, who are cousins, adamantly have proclaimed the pair�s innocence to no avail. Davis, who grew up in Chester and South Carolina, is serving a life sentence without parole. Brooks, a Chester native and 1990 graduate of Chester High, sits on death row. But they have new hope. A witness has come forward saying he has information that proves Davis and Brooks could not have murdered Rachel Carlson, 23, and her 3-month-old daughter, Alexis Stuart, in Crestview, Fla., on the night of April 24, 1996. Citing newly discovered evidence, both Davis, 40, and Brooks, 38, have filed post-conviction relief motions in the Okaloosa County Circuit Court in Florida. The evidence comes via Ira Ferguson, an inmate incarcerated at the same prison as Davis. Ferguson, 41, claims he was in Crestview on the night of the murders and saw the victims alive at a time after Brooks and Davis had returned to Eglin Air Force Base, about 17 miles away, according to Assistant State Attorney Robert Elmore. Davis and Carlson were senior airmen with the U.S. Air Force stationed at the base. Brooks, a Gulf War veteran, was visiting his cousin at the time of the murders. If Ferguson�s claims are true, they�ll have to be proven in court. The family of Brooks and Davis believe the new evidence, and note a private investigator has confirmed its legitimacy. Elmore, who prosecuted both Davis and Brooks, maintains the state has convicted the correct murderers. There�s not much common ground between the family and Elmore, but both agree on this � the murders of Carlson and Stuart were heinous. Carlson was stabbed 75 times while sitting in her idle car. Stuart, her daughter, was killed by a single slash to her heart while still strapped in her car seat. Police arrested Davis, who was Carlson�s lover, in Florida six days after the murders. They picked up Brooks in Chester the next day. They have been incarcerated ever since. If the new evidence proves true, Brooks and Davis have spent almost all of their adult lives wrongly imprisoned. In that new evidence, Ferguson claims a man named Gerald Gundy, 36, committed the murders, Elmore said. Ferguson claims to have seen Carlson and Gundy, both of whom Ferguson knew, with another blond female on the night of the murder, Elmore said. After the murders, a wildlife officer�s dog tracked footprints located on a dirt road about 15-20 yards from the car back to a house associated with Gundy, Elmore said. A confidential individual added that they saw, from down the street, that Gundy�s vehicle was at the crime scene, Elmore said. Gundy has served two prison sentences, most recently for cocaine possession, according to online public records. He also served time for aggravated battery, grand theft auto, burglary, criminal mischief and aggravated assault with intent to commit a felony. Daniel Ashton, the investigator who examined the legitimacy of Ferguson�s claims, declined to comment because of the possibility of being called as a witness. Attorneys D. Todd Doss and Glenn Swiatek, who represent Brooks and Davis, respectively, did not respond to messages seeking comment. However, the family of Brooks and Davis recently spoke openly with the Daily Times . More than 20 family members, including cousins, aunts and uncles, gathered at the home of Dorothy Brooks, Lamar�s mother, to vouch their support of Brooks and Davis. For years, the family has been adamant that those persons are not Lamar and Walker Jr.
* No DNA evidence ever linked Brooks or Davis to the crime scene, nor was a weapon recovered. No blood was found on their clothing or at the house of Davis. �How can you have someone stab someone 50-60 times and have no blood on their clothes?� said Horace Davis, Brooks and Davis� uncle. * A clump of blond, Caucasian hair was found in the hand of Carlson. Davis and Brooks are both black. Carlson was white. * An official time of death was never determined. Prosecutors claimed the murders happened between 8:30 and 11:45 p.m. The family cites the fact that the cousins were stopped for a traffic violation at the time of the murders, several miles away. �If we get the correct time of death, this would solve the case � and they know it,� Diane Davis said, noting the coroner that went to the crime scene never testified. * The tracking dog did not lead to Brooks or Davis. It instead went to the house of Gundy. The families learned of Ferguson�s testimony within the last year. After years of proclaiming the cousins� innocence, Donna Davis said the new evidence was long awaited. Brooks is in maximum security and has limited opportunities to interact with his family. Davis is in close custody. �I know Lamar and Walker Jr.,� said Crystal Davis a cousin of them. �We grew up as little kids. None of this is something they would do. We come from a good family. We come from a praying family. The state attorney�s office has a different view on the matter. He cited a taped video confession in which Davis admitted to being at the murder scene and watched Brooks commit the murders. He also noted that Davis took out a $100,000 insurance plan on the baby, a fact prosecutors used as the motive for the murders. Though married, Davis was Carlson�s lover, but it was eventually determined that Davis did not father Stuart. As for the new testimony presented by Ferguson, Elmore isn�t convinced. �It goes without saying we highly suspect the credibility of his testimony,� Elmore said. Ferguson is serving time for second-degree murder, 3 counts of armed robbery, robbery without a weapon and grand theft auto. He is set to be released Sept. 2, 2019, according to online public records. In regard to the tracking dog that traced footprints to Gundy�s house, Elmore said the car containing the victims was located on a paved road and that officers never had dogs trace items from the car. Ferguson is being held at the same prison as Davis. That, Elmore said, is the only connection he knows of between Ferguson and Davis or Brooks. Asked about the frequency of inmates of collaborating to bring new evidence forward, Elmore said such attempts weren�t out of the ordinary. �It�s not an unusual thing for inmates to try to help each other and to give testimony designed to do so,� Elmore said. Davis was convicted of the murders and sentenced to life without parole in 1997. 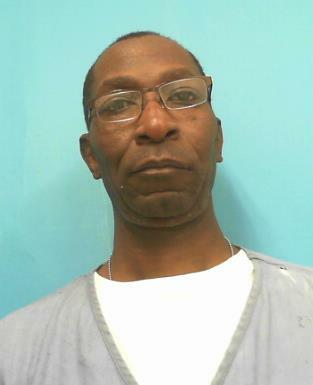 Brooks was convicted of the two murders in 1998, but that conviction was unanimously vacated in 2001 by the Florida Supreme Court, which ruled a trial judge had allowed improper hearsay evidence at Brooks� trial. Thus, Brooks was granted a retrial, but was again convicted of the murders, this time in 2002. He was again given the death sentence. An inmate on Florida’s death row is appealing his conviction for the 1996 slaying of an Eglin Air Force Base airman and her 3-month-old baby. Lamar Z. Brooks argues that “newly discovered evidence” will prove his innocence in the death of Rachel Carlson and her baby, Alexis Stuart. That “evidence” is the testimony of Ira Ferguson, who was imprisoned with Brooks’ cousin and codefendant Walker Davis Jr. at Wakulla Correctional Institution in 2010. Davis is also appealing his conviction and life sentence. Both men are requesting that their convictions be vacated, their trial verdicts set aside and that they get a new trial, according to Assistant State Attorney Bobby Elmore. Carlson was stabbed 70 times the night of April 24, 1996, while her daughter was stabbed once in the heart. The baby was mutilated after her death, according to news reports. The victims were found later in Carlson’s idling car on Booker Street in Crestview. Carlson and Davis, a married Eglin airman, were romantically involved at the time of the slayings. Prosecutors argued that Brooks and Davis conspired to kill Carlson and her daughter to collect a $100,000 insurance policy Davis had taken out on the child. It later was determined he was not the father. Arguments for a new trial are scheduled for March 1 and 2 before Walton County Circuit Court Judge Kelvin Wells. According to Elmore, Ferguson has come forward after nearly 16 years to say that he remembers seeing Carlson between 10:45 and 10:50 p.m. on the night she and her baby were killed. “I know this because I never leave home before 10:30 p.m.” Ferguson said in his written affidavit. That statement, if true, would establish that Carlson was alive after evidence showed Davis and Brooks had left Crestview, according to Elmore. He said defense attorneys will have to convince Wells that Ferguson is a credible witness and that his testimony would have led to a different trial verdict for Davis and Brooks. Walton County Circuit Judge Kelvin Wells didn’t buy a convicted murderer’s 2012 recollection of a moment in time in Crestview on a night in 1996. Because he found inmate Ira Ferguson’s testimony unconvincing, Wells denied new trials to Lamar Brooks and Walker Davis, two other convicted murderers. “The non-credible testimony of Mr. Ferguson would not probably produce an acquittal on retrial,” Wells said in his ruling in denying Brooks’ and Davis’ motions. Wells also denied a motion by Brooks for a retrial on the grounds he was provided ineffective legal counsel at his first trial. Brooks, who is sentenced to die, also made his own decisions during the sentencing phase of his trial that he later claimed were made as a result of ineffective counsel. That claim has no basis either, ruled Wells, who cited a 1994 court case as precedent. “An attorney will not be deemed ineffective for honoring his client’s wishes,” Wells wrote, citing the case. Brooks and Davis were convicted of killing of Eglin Air Force Base airman Rachel Carlson and her 3-month-old baby, Alexis Stuart, on April 24, 1996. The mother and child were stabbed to death and left in an idling car in Crestview. Davis was sentenced to life in prison in 1997. Brooks was sentenced to death in 1998. Davis and Brooks appealed their sentences based on Ferguson’s story that he’d been in Crestview on the night of April 24, 1996, and had seen Carlson alive after Brooks and Davis had been detained by authorities. Ferguson and Davis had been in prison together prior to Ferguson coming forward with his story. Assistant State Attorney Bobby Elmore, who prosecuted Brooks and Davis and also argued earlier this month against them receiving a new trial, said he was never worried that Ferguson would fool Wells. In today's opinions, the Florida Supreme Court AFFIRMED the postconviction court's DENIAL of relief on all claims, and DENIED Brooks' petition for a writ of habeas corpus. On June 11, 2015, Brooks filed a habeas petition in Federal District Court.